A ray of light for every month! This is our new, eye-catching photo calendar. Make your own with your favourite pictures. 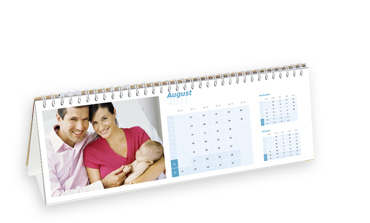 For this large photo calendar we use high quality photographic paper to guarantee that your photographs are processed with superior quality and colour depth. Printed to an amazing 40.6×60.9cm (16"×24"), it makes an impressive addition to home or office. Give your best pictures extra space. 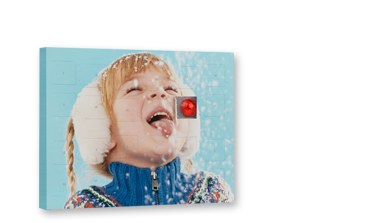 The extra large wall calendar with your favourite photographs will be a real eye-catcher. 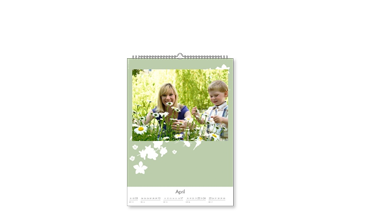 Printed on top-quality 250 g/m² card stock or real photographic paper, with a wide range of design templates, this calendar makes the perfect gift. The A4 calendar with your favourite pictures will be a work of art on any wall. 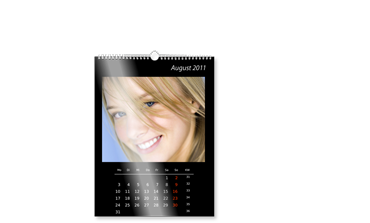 Printed on top-quality 250 g/m² stock of real photographic paper, this calendar makes a stylish present month after month. Wherever appointments for several people need to be plain to see, we now have this lovely big wall appointment calendar in 59.4×42 cm format (A2) with real decorative impact! A fantastic organiser for the whole family! 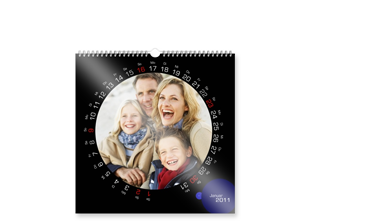 This 29.7×42 cm folding wall calendar has plenty of space for your favourite photos. 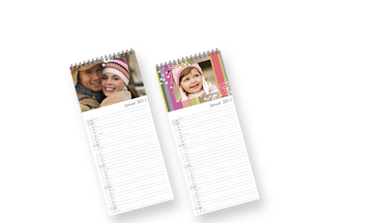 The individual design and the top-quality 250 g/m² card stock make your calendar a great gift idea all year round. This 13×29.7 cm (5"×11½") calendar will remind you of all the important birthdays and anniversaries. The kitchen photo calendar on 250 g/m² quality card stock with your own design makes an unique present. Whether in the office or at home, our A3 year planner displays the whole year at a glance. The individual design and 250g/m² quality paper card stock make this calendar the perfect gift all year around. 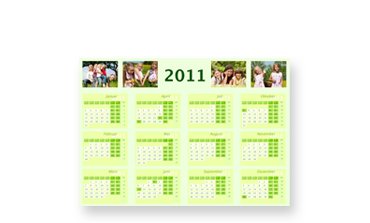 This sturdy 29.7×10cm (12"×4") folding calendar fits any desk - at the office or at home. 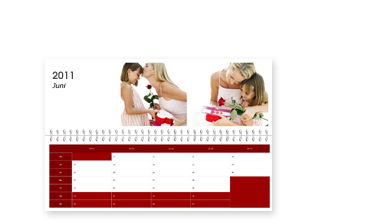 Surprise your loved ones with a personalised calendar. As you can chose the starting month, its the ideal present, not just at Christmas. Because it stands up, you will always have a perfect view of this 29.7 x 10 cm calendar. 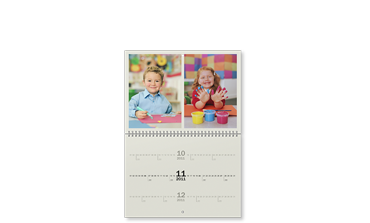 With its flexible choice of starting month, you can order the desktop calendar all year round. 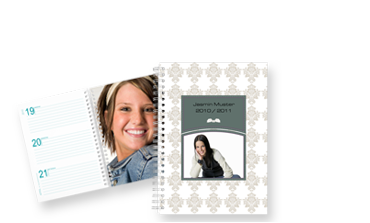 Stay at the top of the class with this great School Diary! Never forget anything again, always stay on top of things and have fun every day with your own unique school diary. For you and your friends. 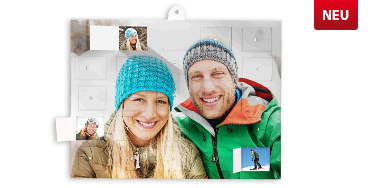 The square 12"×12" format offers a great variety of layouts to make your own picture calendar a decorative highlight.